Yaw Boadu - Conseillers T.E. An Investment Counsellor in our Calgary office, Yaw provides comprehensive investment strategies and asset management services for high-net-worth executives, families and individuals. 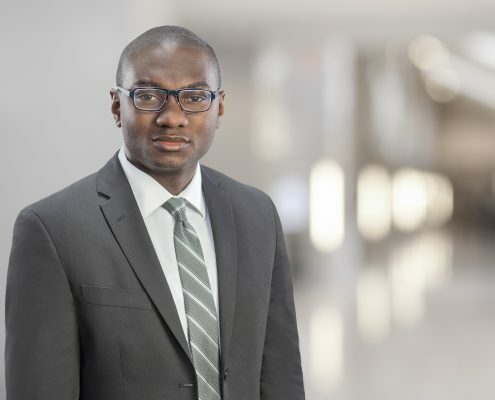 Guided by his analytical approach and big-picture thinking, Yaw creates portfolio strategies with an eye on the global economy and investment markets. Having joined T.E. Wealth in 2011, Yaw began as an account manager and then moved into the role of investment analyst before holding his current position as an investment counsellor. Yaw has a Bachelor of Management degree in finance from the University of Lethbridge, where he graduated with Great Distinction. Yaw is a Chartered Financial Analyst (CFA®) charterholder and Financial Risk Manager (FRM®) Holder. In his spare time, Yaw pursues his second passion: basketball and soccer fanaticism.